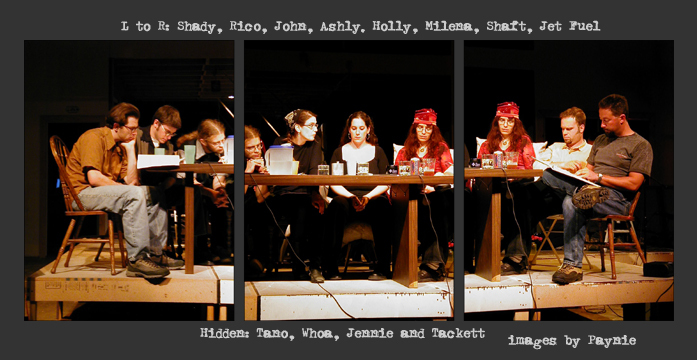 On October 11th 2002 at Theory Labs we held the first public reading of the screenplay "Borderlands." It was my first feature work and I needed to see if it worked. It was an all Gigsville cast and I am grateful for and proud of each and every one of them. We had an audience discussion afterwards where I found that we indeed had a film.